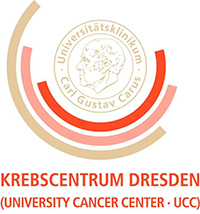 The School of Medicine at the Technische Universität Dresden wants to strengthen translational research and career development strategies for clinician and medical scientists in precision oncology. Therefore, a new research college, the Mildred-Scheel Nachwuchszentrum (MSNZ)-P² ‘Personalized career development in precision oncology-P²` is being established. This clinician and medical scientist programm is funded by the German Cancer Aid (Deutsche Krebshilfe) for initially 5 years. Situated at the NCT/UCC of the University hospital, the MSNZ-P² is embedded in the Dresden medical and life science campus. Aiming at excellent cancer treatment, physicians and scientists work together to provide personalized diagnostics and state-of-the art cancer therapy. For further information, please visit our Job-Website.